In the past week there was energetic debate between Simone Aspis and family advocates about who should speak for people with learning disabilities. It prompted me to write this. I wrote back in 2016, at the launch of Learning Disability England, that families and self advocates should stand together, that they have far more in common than divides them, and that the need for a loud and united voice to fight for a better life for people with learning disabilities and their families was urgent. That need has not gone away. I’m so used to saying ‘my needs’, tough luck about the others. They’re somewhere else. 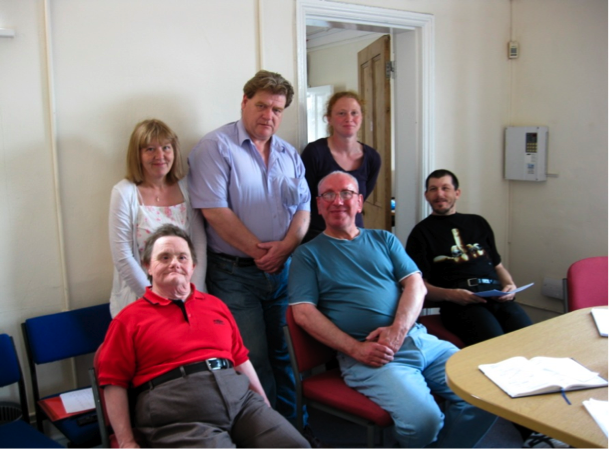 It can work but it takes time, and we, as people with learning difficulties, we got no time. She makes a fair point - self advocates have enough on their plates. All the more reason then to abandon tired old arguments about who has the right to speak. Instead, we could use the energy released to work out ways for self advocates to share platforms with family advocates to take the fight where it is really needed - for resources and commitment from those in power to ensure that a good life is there for everyone. Campaigners in mental health have long adopted the label ‘survivor’ to indicate both their journey through an often unhelpful system of care and their resilience in surviving to fight another day. But to my knowledge this term has not been used by people with learning difficulties. This is surprising. Many leading self advocates I have met are challenged that they are not ‘really’ disabled because they appear self confident, poised, capable and professional. It is a double bind. The more skilled they appear as leaders, the more likely it is that they are dismissed as wrongly labelled and ‘unrepresentative’. Yet I know, because they have shared some of their life stories, that, despite appearances, they have gone through special education, they have been assessed, been obliged to live with people they have not chosen in group homes or supported living, or, worse, in secure accommodation. They have known what is is like to pass your days in adult training centres, or sitting at home for lack of money, support or opportunity. Labelling yourself as a ‘survivor’ in such circumstances seems entirely justifiable. And a good way to counter those people who want to dismiss you for being too effective. 200,000 applications for Deprivation of Liberty Safeguards in One Year. What is Going On? In2015-16 local authorities in England received almost 200,000 applications for authorisation to deprive a person of their liberty. She points out that this is more than three times as many detentions as under the Mental Health Act 1983 in the same year and more people than were detained at the height of the asylum era. Steven Neary has had his first Community DoLS and it has been decided that he is being deprived of his liberty in his own home. To quote, “his care and support (1:1 in the home, 2:1 outside) amounts to a deprivation of his liberty”. The fact that he needs a support worker to accompany him when he takes some cake across the road to his uncle is now reframed from the support worker’s presence enabling Steven’s liberty to depriving him of it. This is likely to be the case across the country for every learning disabled person who needs support to live their life. We appear to be living at a time when people with learning disabilities (and their families) are either neglected, left to manage in a travesty of a commitment to ‘independence’; or ever more regulated and controlled, subject to incarceration in secure facilities, or surveillance in their own homes. Is it considered that the control available would suffice to prevent the defective from procreating children? (Model form enclosed with circular letter from Board of Control No. 717, dated January 1929). If the answer to this question was negative the Committee would take steps to find an institutional place. But if the control was deemed to be adequate, ‘defectives’ were in most areas left to manage as best they could with the help of their families. Occasionally some financial or practical assistance was provided, to pay for dentistry, medical procedures, or even some tuition. It was in many respects like the situation today. The control /neglect dichotomy is one of history’s great continuities. The contrast is striking: between 1 set of policies that seem to introduce and enforce draconian controls; and other policies that allow/encourage the neglect we know so many people, like Lee Irving, suffer. DoLs can regulate every aspect of your life – your home, if you are Steven Neary, is most definitely NOT your castle. But if you are trying to live independently and suffer harassment from neighbours or drug dealers move into your accommodation there is very little help available. If you are a caring family, doing your very best to support a disabled family member, and you ask for some help, as did Sara Ryan, all you get is an institutional place – and in this case with absolutely tragic consequences. One might also suggest that the situation in the 1930s actually offered more support – there are no quarterly visits now to people managing on their own, no little bits of financial help. Ok, we historians are good at pointing out continuities. But we are not usually as good at suggesting answers. I’m going to have a go. My first message is that there is no one size fits all policy solution. Since 1913, there have been broadly 3 policy eras. The first was the institutional solution. This was a response both to eugenic fears – that the ‘feeble-minded’ were reproducing at a faster rate than more intelligent people and must be stopped – but also to stories of neglect and abuse, of people left in workhouses or mental asylums who would benefit from specialist institutions. The second, starting in the 1970s after the extent of abuse and sheer misery in NHS run institutions was exposed (not note, through regulators but through investigative journalism), was ‘community care’. 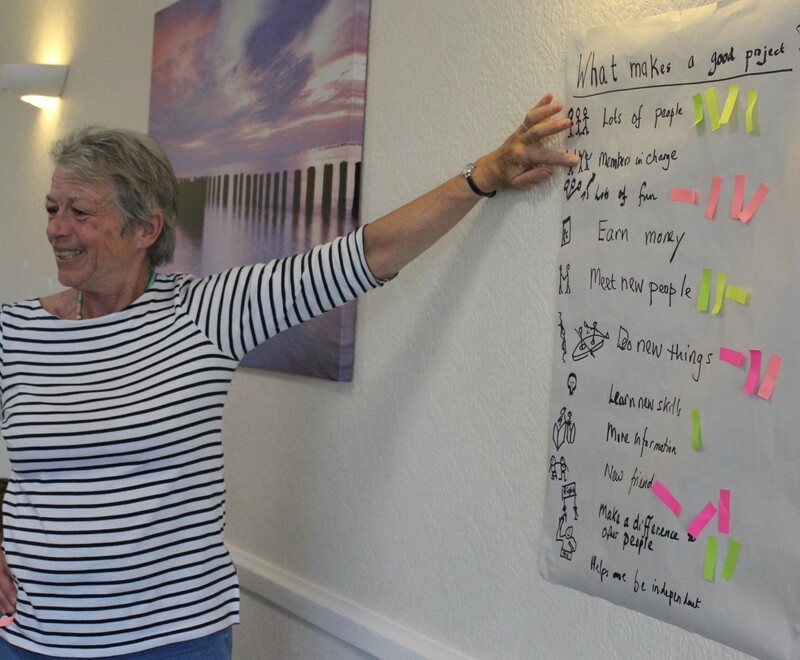 Although its meanings mutated over time, and according to who was speaking, broadly speaking community care meant building and running both residential homes and day centres to house and give occupation to adults with learning disabilities. And the third, which really took off in the 21st century, was personalisation, giving people money to run their own lives. This was accompanied by the closure of segregated specialist facilities in favour of people using mainstream services. This is where we are now. Each of these policy eras has repudiated the past as unenlightened, each has been accompanied by its own compelling ideological baggage, and each has failed. Not, necessarily, because it was wrong, but because it was under-resourced and poorly implemented. Institutions have a place, asylum for those who really struggle to manage, who are abused and taunted and need a place of safety. But not if they are understaffed, shut off, and either under-funded or a source of profit (or both). Personalisation is failing, not because it is wrong, but because it has been grafted onto a system ill adapted to managing it, because it has, conveniently in an era of austerity, taken ‘independence’ at face value to mean neglect, and because there just isn’t enough money. So where does this leave us? In my view, it suggests that no one policy fits all circumstances. The ‘learning disabilities’ label is applied to a wide range of people, some of whom can flourish with a little support, but many of whom cannot. We will look in vain for the perfect policy answer, it does not exist. My second point is workforce. Never, in all the policy changes, has there been commensurate investment in a workforce fit for purpose. Have you ever wondered why it is psychiatrists who are the medics responsible for learning disabilities? It is not, after all, a mental disorder. The reason, according to Mathew Thomson who wrote a magisterial account of Mental Deficiency in the mid twentieth century, was because no one else wanted such a lowly specialty without a cure. Psychiatrists, the lowest of the low in terms of esteem, saw it as a way to carve out territory. This does not mean it is the best solution from the perspective of the people they ‘treat’, but to my knowledge it has not been seriously challenged. It is not only psychiatrists. The only dedicated professional pathway is nursing. They may do a good job, but it is not ideal when we repudiate a medical model. The same mistakes keep happening. When the institutions closed many staff just moved over to the new homes, bringing institutional attitudes and practices with them. When personalisation was introduced it was those same local authority personnel who had managed the old ‘we know what is best for you’ system suddenly expected to embrace individual empowerment. It just does not work. 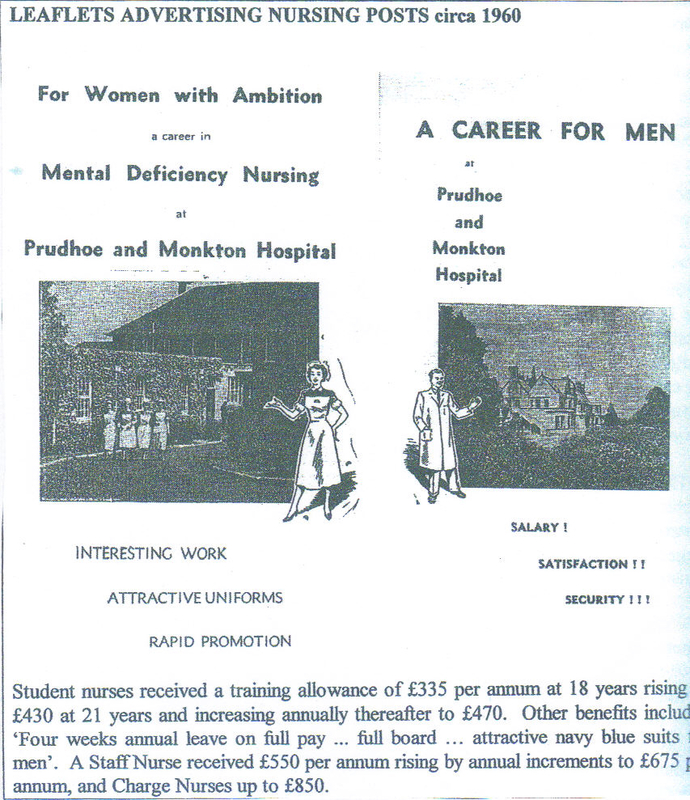 In 1979, Dame Peggy Jay, in one of many reports on learning disability nursing (find it here,) made herself unpopular with the nurses by arguing for a dedicated workforce which combines the best of nursing and social work skills, to make a success of the ‘ordinary life’ her Report advocated. My sense is that we need to revisit this idea of a workforce fit for purpose. It’s not the same sort of workforce Jay advocated because she was visualising people living in groups, staff working in teams. The workforce to make a success of personalisation are people who work, largely unsupervised, in people’s homes, whose job is to support their citizenship. Far from an easy job, yet, there is no training for it. Because other solutions have failed, are failing and will continue to fail, increasingly people look to the law and to regulation to correct the policy gaps and failings. Hence the DoLs, the ineffectual efforts to reform them, the use of the Human Rights Act to wrestle Steven Neary out of the control of Hillingdon Local Authority, the feeble CQC reporting but not acting when care is appalling. Both law and regulation are blunt instruments, incapable of making sense of and managing the many and diverse human dilemmas thrown up by the challenge of supporting people with learning disabilities to be fellow citizens. Maybe, just maybe, people trained specifically to that end, trained by people like Steven and Mark Neary, Sara Ryan, Gary Bourlet, Learning Disability England and my friends at My Life My Choice, might be a way to really make a difference.